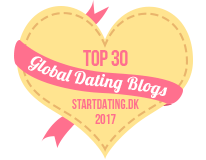 Are you dating after 40 and struggling with managing your masculine/feminine energy? Back in 2009, I wrote a post about emasculating the male ego with a personal story about my husband. The short version is that we went to Home Depot to buy a water filter. Being a chick-in-charge, I did my usual – walked up to a guy, asked about water filters. My husband was furious because he felt like a bump on a log and said I should have let him handle this. I understood his point and the post discussed how I was working on balancing the masculine and feminine energies so as not to bruise my husband’s ego in the future. This is a big concern, not just for me, but for all the successful, high achieving women who tend to be “chicks-in-charge”. As independent women who can take care of ourselves, we have much to be proud of. However, if we want to have a solid, lasting and respectful romantic relationships, we need to have a better understanding of how to balance male/female energy. One guy, Clint, left a comment, feeling outrage at my word usage. I said I had to “allow” my husband to be in charge and he took issue with that language. I explained how Clint had missed my point entirely. “Women who are chicks in charge find it hard to let go. It’s not that we think men are stupid – you are so wrong. But we are used to doing everything our selves, independently. So the idea of “allowing” is to make room for a man to step into his normal role – something we are not always familiar with especially if a woman has lived alone for a long time – like myself. Today, another man wrote, again chiding me for the use of “allow” and asking why shouldn’t it be about the water filter rather than the masculine ego. Eric didn’t understand why people would spend time on who bests who. He also pointed out that my husband knew I was a chick-in-charge before we married, so he knew what he was getting into. He made me think further on this topic and here’s my response. If you are dating after 40 and a chick-in-charge, I hope you will give this some serious thought and see how it applies to your relationship. Or tuck it away to apply in your future. His comment included the word “should’ which for me nullified the point because things “should” be a certain way, but they are not. What is that simple? Certainly not male/female communication in romantic situations. I explained how my husband is very traditional, so he in no way wants to be out-manned by me. Yes, he knows who I am, but I know who he is too – this works both ways. When ego is involved, it’s not so easy to shrug things off. For me, this is a matter of RESPECT. I can take charge and shout orders, but not if I want a happy marriage. I want to better understand the balance of masculine and feminine energy. The line, “You can catch more flies with honey” seems to apply. I want a happy romantic life which is why I strive to allow room for my husband and his masculine ego. In truth, I am not “allowing” him to do anything as Eric and Clint pointed out. It’s simply my way of talking about the Universe and “allowing” or “making way” rather than bulldozing an aggressive path. 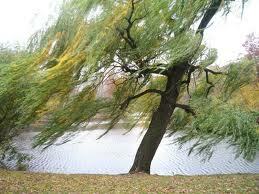 “Allowing” in this case is to be like the willow tree, flexible and yielding as the wind blows vs. rigid and firm like an oak. I get it…one person’s realism is always another person’s negativity. OK, I won’t bother you anymore. Thanks for dropping by but I’m afraid you don’t get my message. If you want to pick at specific words because you have had bad experiences with women, that’s a shame, but I will delete negative comments in the future. Being in a relationship requires negotiation. We all complain at some point because it takes compromise. No one wants to be told what to do, so how you say it, which is called “positioning” is what counts. My site aims at being upbeat and I strive to encourage people to think and act in a positive manner. Please give it a try. Way to build his confidence. What’s he there for? Taking care not to bruise your man’s ego, while taking the lead in a decision making process, is a balancing act many women constantly work on even if subconsciously. I am an expert at this, I let him think he makes all the important decisions! Hey Mickey, Yes, staunch feminists could be all over that allowing thing. But, I am not a staunch feminist. I am for equality but not militant. And I do not believe while men and women are equal, that we are the same. That is the essence of what I am talking about. We might be able to do the same jobs for equal pay, but that doesn’t make us process information or communicate the same way – we are different biologically which is fact. This is NOT an issue of control which is what you, Clint and Eric are stuck on. So,this point about allowing is irrelevant. It’s not that I give my husband “permission” to be who he is, It’s that I respect who he is, so I can take a back seat and allow him to be the man, as he allows me to be the woman. Otherwise I would be a woman forcing him to do things my way. Get it? In any kind of relationship – romantic or friendship – respecting who the other person is and allowing them to do things their way rather than trying to get people to do everything your way is sort of basic. Hope that clears things up finally. I notice that you completely glossed over Clint’s point that if the situation were reversed and a guy said he “allows” his wife to be in charge, there would have been rioting in the streets, the hostile sisterhood would have demanded he be strung up & shot for being a Neanderthal, and all hell would have broken loose. 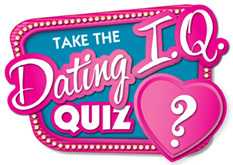 Dating After 40: What’s Your Commitment to Find Love?